2012 (5) / December 2012: Project Management vs Quality – How to Stop Making Each Other Crazy! How to Stop Making Each Other Crazy! For quality professionals, interacting with project managers is undoubtedly the most frustrating part of their job. It’s not that project managers are bad people. In fact, I must confess that I am a project manager myself, and I have sometimes done my best work while making my quality colleagues crazy. For that I am truly sorry. Well, mostly sorry. Why are project managers so frustrating to quality professionals? I believe it’s because of the differences in world view. Concepts like value, frameworks, goals, and speed, along with the inherent differences in personality types drawn to each profession, make us view each other from slightly different perspectives. At our worst, we tend to look at each other like we live on different planets. Here’s an example I share with my students to illustrate the differences. Once upon a time I managed a team of project managers in a technology company. I had just hung up the phone from a planning call for the upcoming ISO audit when one of my most experienced project managers burst into my office. “I just came out of my preliminary prep audit,” he said. “They’ve docked me for two findings! We’ve got to fix them before the real outside audit or my project will be the reason we can’t recertify!” As he slumped into the nearest chair, the internal quality auditor, obviously equally agitated, raced up to my door, coming to an abrupt halt when she saw the project manager sitting in my visitor chair. “Did he tell you how he is going to make us fail the audit?” she asked, pointing at the project manager. “So what you’re saying is that the problem is that the software developers have gone ahead and written and deployed some code before going through all the gates required by our product development process? And those gates involve writing down detailed requirements before a line of code is written? Have I understood correctly that this is the problem?” Both the project manager and the internal auditor nodded emphatically. 1. Value is how you incent people to behave. Project managers are rewarded when they deliver products on time and on budget with full functionality. Quality professionals are rewarded when defects are reduced and when certifications are maintained. In the worst scenarios, project managers focus on timelines, on budgets, and on delivery, without integrating quality metrics into the concept of full functionality. Similarly, quality professionals who focus on a rigid interpretation of a standard, without considering corporate time or budget constraints, are missing out on opportunities to bring real value to the process. In the best scenarios, quality professionals and project managers work together to draw connections among quality standards, well-written corporate processes, zero defects, and rapid development within tight budgets. In practice, this means project managers must involve quality professionals in the initial project planning meetings, making use of their expertise in designing and monitoring metrics and processes, and ensuring that the entire product development team understands that the quality team has just as much “skin-in-the-game” as any other development role. For quality professionals, this means you can’t simply point out failures in process or product after the fact; you must be willing to be integrally involved in designing those processes and products to ensure quality is built in from the start. Yes, this is more work. Yes, this is sometimes very hard to do. However, it’s one of the best ways I know to reduce that working frustration between the two disciplines. 2. Personality and viewpoint differences build strength. I’m willing to bet if you asked a room full of project managers and quality professionals, most of the quality professionals would admit to colouring inside the lines in elementary school art class, and a fair number of the project managers would admit to the opposite. Each of the professions attracts some key personality traits. Some of these traits are similar; both professions naturally prefer order over chaos. Some of these traits, however, are quite different, and yet all viewpoints are required for success. For example, the best project managers I know demonstrate an understanding of how to just barely colour inside the lines. This means the ability to see and understand the rules, the ability to create and follow a detailed project schedule, while simultaneously using charm and creativity to convince people to get things done. It’s a balancing act that requires the willingness to break the rules, and the knowledge of when it is safe and best to do so. On the other hand, the best quality professionals I know combine an understanding of why the best results require adherence to the standards, along with the ability to share that knowledge in a way that’s meaningful to others. So while the best project managers inherently push the limits of a framework, the best quality professionals strengthen those limits. Recognize and encourage the value of these different views, and frustration will decrease. 3. All frameworks are good, even if they are different. From the project management viewpoint, quality standards are boring statutes that get in the way of getting the work done quickly and effectively. From the quality viewpoint, quality standards are the framework ensuring the work will get done in a way that produces a quality product every time. Just as project management operates within various frameworks (PMBOK, agile, etc), so does quality. These frameworks are complementary, not adversarial, and the more clearly both sides can come to see how to make use of each others’ frameworks, the more effectively product development will achieve corporate goals. Practically speaking, this means to hold “pizza and pain” lunches jointly with project management and quality to share issues and concerns. It’s also important for project managers to learn about and understand changes to quality standards relating to project management. And for quality professionals to learn about and understand changes to project management standards relating to quality. The intersection of quality and project management is key for the effective development of new products, new markets, and new opportunities. Programs focused on developing understanding between these two disciplines can help promote both corporate and personal career success. In the upcoming weeks, we will be offering classes and articles on understanding the new project management guidance for ISO9000, plus other topics of interest to both quality professionals and project managers. Stay tuned, and in the meantime, please tell me about your project management and quality challenges. More stories, examples, and project management tips in Project Management: Getting Things Done training course. 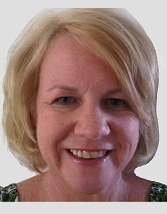 Karen Creditor has practical experience as a project management executive who has lead project management offices and successfully managed million dollar technical programs for enterprise level companies, including Monsanto, Peabody Energy, Research in Motion, and Marsh Company. Karen also is an inspiring teacher, passionate about applying new learning to achieve business and personal success. She has taught in the Applied Science and Engineering Programs at Washington University in St. Louis and Conestoga College Institute of Technology and Advanced Learning in the Department of Business. Please share your experiences and thoughts on the topics discussed in the comments box below. December 2012: Project Management vs Quality – How to Stop Making Each Other Crazy!